Growth is slow but it’s coming for ASEAN countries after the overall manufacturing Purchasing Managers’ Index (PMI) dipped from 50.4 to 50.3 in September. Malaysia, and to a lesser degree Indonesia, Thailand and the Philippines, remain more exposed to exchange rate risk than other developing economies in East Asia and the Pacific as global financial conditions tighten, the World Bank said. Southeast Asia is at the forefront of a global energy-market transformation that is outpacing even the most ambitious predictions. 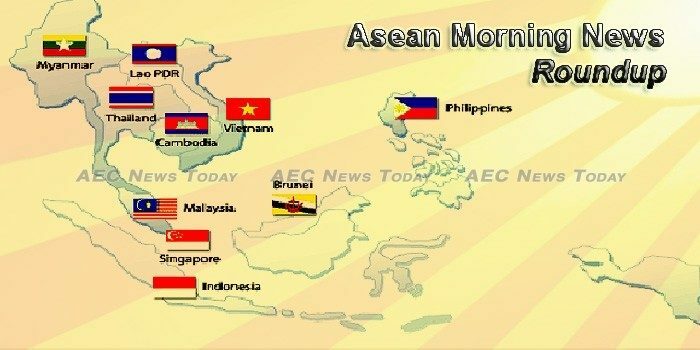 In the last few days, a report from analyst Wood Mackenzie stated that the ASEAN nations will need to , at a cost of more than US$500 billion. As a close friend of India and the current co-ordinator ASEAN-India ties, Việt Nam will spare no effort to foster strategic partnership between the two sides, Prime Minister Nguyễn Xuân Phúc said yesterday. Companies in fast growing economies of Southeast Asia are among the most vulnerable in the world to computer hackers, where successful attacks could spell problems for their businesses and their millions of customers. THE World Bank sees Thailand’s economic growth trending just shy of 4 per cent over the coming years, but warns of threats in the form of regional security issues and trade protectionism. As the Association of Southeast Asian Nations turns 50, there are several accomplishments it can be proud of. However, when it comes to infrastructure development—particularly cross-border projects—the region’s record is far from stellar, despite the many benefits it will bring, economic and otherwise. Fifty years is a long time to be a mystery, but that is what Asean is to most of its 640 million peoples. Daesh must be countered at its inception and the conflict in the Philippine city of Marawi is an “eye opener” from which other countries should learn how to defeat violent extremism, a senior adviser to President Rodrigo Duterte has told Arab News. Southeast Asia is expected to buy 10% of the world’s new jets over the next two decades, at a time when regional airports are already buckling under the strain of record flight volumes. The meeting starts to get heated. Voices begin to rise. The back-and-forth among those present, unhurried just moments ago, quickens with impatience. Following hot on the heals of a crackdown on endless business visa extensions (See: Axe Falls on Endless Cambodia Visa Extensions) Cambodia’s Department of Immigration (DOI) is set to launch a concerted crackdown on foreigners living in the kingdom with “irregular documents”. Despite better than predicted overall growth for global economies, the World Bank has slightly downgraded its 2017 forecast for Cambodia due to wage and price concerns in the Kingdom’s the garment industry as well as uncertainty surrounding next year’s national election. Startup Cambodia, a collaborative platform set to officially launch next month, aims to create a comprehensive and accessible database of Cambodia’s startup companies to help entrepreneurs tap into early-stage funding, a spokesman for the company spearheading the project said yesterday. The weakening of the rupiah, which once touched IDR13,500 per US dollar, is said to be influenced more by external conditions and is temporary. President Joko “Jokowi” Widodo has said that as a country that produces commodities such as coffee, chocolate, coconut and spices, Indonesia has the opportunity to benefit from the increasing demand of the soft commodities offered by lifestyle businesses. The government has prepared to launch market operation on medium quality rice following the declining supply of the commodity, especially in Cipinang Wholesale Rice Market. The Asian Development Bank’s (ADB) Board of Directors has approved a $10 million grant to the Lao People’s Democratic Republic (Lao PDR) as additional financing to scale up efforts to improve food safety and ensure plant and animal health, as part of an initiative to improve sanitary and phytosanitary (SPS) capacity in the country. The World Bank has revised Malaysia’s Gross Domestic Product (GDP) growth forecast upwards for this year to 5.2 per cent from 4.9 per cent in June, on the back of a much stronger-than-expected actual growth of 5.7 per cent in the first half of 2017. Malaysia has edged up seven places to rank 65 among 159 countries in 2015, according to the recently-published Economic Freedom of The World Report 2017 (EFW), compared to 72nd placing in 2014. ONE thing is almost certain about Malaysia’s 2018 budget: with only 8-9 months left before the 13th Parliament is automatically dissolved, the fiscal blueprint is invariably going to be a pre-election budget geared to boost sentiment at the polls. Total investments by Myanmar citizens in 11 business sectors until September exceeded Ks14,659 billion, with the property sector topping the list. The budget deficit for the 2017-18 fiscal year is expected to be around K4 trillion, President U Htin Kyaw said at the Finance Commission meeting held in Nay Pyi Taw on October 2. Humanitarian organisations helping Rohingya Muslim refugees in Bangladesh said on Wednesday they need US$434 million over the next six months to help up to 1.2 million people, many of them children, who need life-saving help. The World Bank has once again cut its 2017 growth forecast for the Philippines, citing delays in the implementation of the government’s “Build Build Build” program. The flow of remittances to the Philippines is seen to further grow by 23 percent and eclipse last year’s record, making it the third largest remittance volume worldwide this year, the World Bank said in a report. Tourism receipts grew 14.89 percent in the first six months of the year, driven by higher tourist arrivals, the Department of Tourism (DOT) said. Google will for the first time launch its Pixel smartphone in Singapore – making it the first Southeast Asian market to have the device. Singapore and Thailand are in discussions about connecting their national digital payment systems to forge an unprecedented regional alliance, as officials step up efforts to curb the use of cash. Singapore’s Smart Nation push saw a new development with OCBC Bank tapping Apple’s Siri virtual assistant to allow businesses to transfer funds just by speaking to their Apple iPhone. Volatility in the Thai baht is expected to continue, pending monetary policies of the United States. The deputy junta head has announced that the US has agreed to resume selling weapons to the Thai government. THE Joint Standing Committee on Commerce, Industry and Banking (JSCCIB) has raised its forecast for economic expansion this year to 3.7-4 per cent from an earlier estimate at 3.5-4 per cent, citing higher-than-expected growth in exports and tourism. Vietnamese state-run operator VNPT plans to conduct its scheduled IPO in 2019, in line with the government’s instruction to complete an equitization process by this time. Vietnam has hired Swiss financial services firm UBS AG and Saigon Securities Inc (SSI) as advisors for the next stake sale of its biggest listed business, dairy firm Vinamilk. Vietnam spent 964 million U.S. dollars importing over 3.6 million tons of fertilizers between January and September, posting respective year-on-year increases of 21 percent and 17.8 percent.